Why Did M*A*S*H Have A Laugh Track? When you think of wartime doctors performing dangerous operations on young soldiers in the middle of a bloody conflict, you usually don't think of laughter. Yet, when you catch a rerun of M*A*S*H on cable, that's exactly what you get. The canned laughter that billows from an unseen audience at the 4077th Mobile Army Surgical Hospital seems remarkably out of place. It wasn't just the subject matter that made the choice of using a laugh track questionable. Unlike almost all other comedies of the era, M*A*S*H was filmed in an immersive, fluid manner. That it didn't take place on a stage before a half-circle of cameras is what made the show unique and its laugh track so cringingly awkward. The reason for its inclusion is rather simple. Studio heads at CBS had never even attempted to produce a comedy without a laugh track. It was a relic from radio days, and the thought of jokes hanging in the air without the affirmation of laughter made no sense to them. 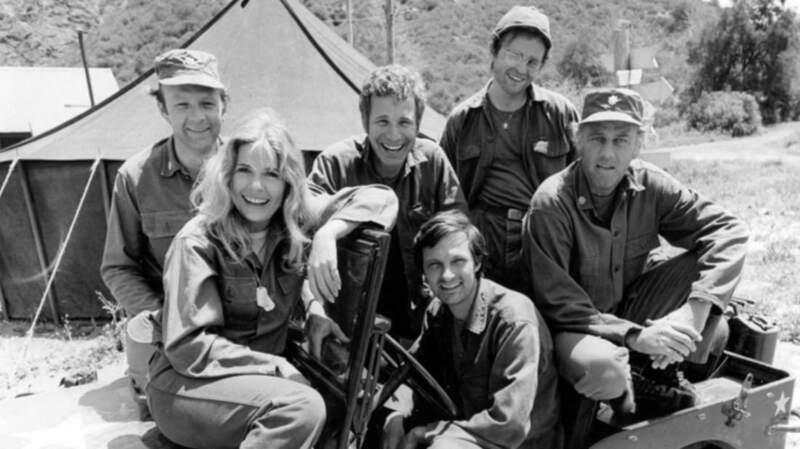 Even though M*A*S*H contained a mix of comedy and hard drama, CBS put their foot down. After season six, the laughter was toned down immensely, and later episodes feature a hushed track that contrasts sharply with the all-out hooting and hollering of the show's early days. DVDs of M*A*S*H give viewers a fantastic option: The ability to watch the show without a laugh track. It's amazing how much a little silence adds.